walked in and sat down. The 20 or so other men in the room, from various parts of the world, were unfamiliar to me. The room was large and we sat two to a table. We were all pastors who had been invited to the West Coast to spend a few days with a well-loved and respected Pentecostal leader. The leader walked into the room and quickly announced he would like for us to take a moment and pray for the man standing next to us. In hesitant obedience, I prayed for Andrew from England, whom I had never met, and he prayed for me. Having heard lots of generic “prophetic words,” I remember cynically thinking, Yeah, go ahead and tell me about a “new sea- son” or some coming blessing. I reluctantly said, “Sure.” Andrew then began to tell me of specific things going on in my life he could not have otherwise known. Then he shared comforting words pertaining to the crisis in my life at the time. The words ministered to my brokenness. I will never forget that private moment when the Holy Spirit spoke. It was unexpected, unprovoked, and undeniably real. 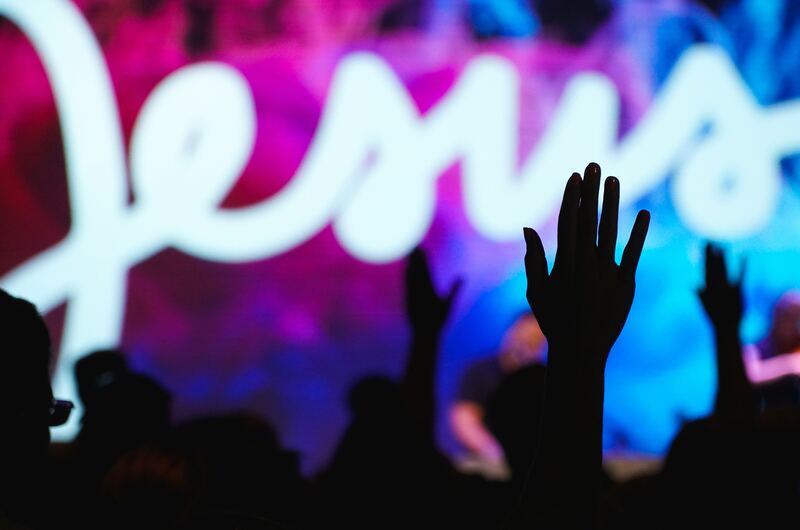 How can we know if a Pentecostal experience is real? So much of what is associated with the Pentecostal church is based on outward expression. While there is undeniable passion connected with Pentecost, the manifestations do not have to be strange. In fact, a Spirit-filled experience should be about the Spirit’s overflowing into our everyday existence. Unfortunately, sometimes there is abusive and unaccountable behavior associated with Pentecostal worship. Apparent abuses caused Paul to approach the use of tongues from a corrective posture in 1 Corinthians 12—14. It is troublesome to think Pentecostal believers are often thought of in a negative way to those outside our fellowship. The benefits of the Spirit-filled life are far too great for us to be unwilling to measure the validity of the Spirit’s activity in our lives. While desperately attempting to keep this sensitive topic from becoming another “faith formula,” I do strongly believe there should be responsibility and accountability when it comes to the activity associated with spiritual experiences. The starting place must always be the Word of God. When we experience something deemed supernatural, we must ask if the experience harmonizes with the Scriptures. No matter how overwhelming the emotion, if it does not agree with the Bible it cannot be genuine. The Bible is the highest authority in determining the genuineness of any spiritual experience. Most Pentecostal believers have observed actions that raised questions. The temptation is to excuse behavior that appears to be out of order for the sake of good manners and the sheer awkwardness of the moment, but often a spirit of confusion follows when someone steps out of line in overzealousness. I know of a family who moved across the country because someone “prophesied” they should. The result was disastrous! Both the giver of the word and the family who received it were likely sincere in their quest for God . . . but both were sincerely wrong. Had they applied Scripture and sought godly counsel (see Prov. 11:14; 2 Cor. 13:1), pain could have been avoided and the prophetic word dismissed as misguided. Regardless of the manifestation, when the emotion of the moment has died down and time has passed, does the integrity of the experience hold up? While I was pastoring, a visiting minister told my congregation in a supposed word of prophecy that they would all have extra money in their checking accounts by the next day. I sat on the front row and cringed. Since by the next day the word proved to be false, the following Sunday I stood before my congregation and declared the word untrue. His so-called prophecy did not hold up. On another occasion I observed as the speaker at a large Pentecostal gathering gave a “word” over another minister. Specifically, he told of a coming increase in his ministry and stated his greatest days were ahead of him. As of this writing, the one to whom the word was spoken has divorced his wife and is out of the ministry. The message would have been a timely prayer, but apparently was not prophetic. If a Pentecostal experience is to be labeled genuine, it must be tested after the initial experience. God does not make mistakes. Can the messenger be trusted? Being judgmental is wrong and lends itself to legalism and negativism. However, the life of the believer cannot go unmeasured, especially those who operate in spiritual gifts. Anyone who claims to have a Pentecostal experience should not only lead a holy life but, in my opinion, should live a joyful and contagious life as well. The fruit of Galatians 5 comes from the same Holy Spirit who administers the gifts of 1 Corinthians 12. I’ve known of individuals who prophesied, spoke in tongues, and interpreted messages in tongues only to find they were living in sin. This is most confusing. Was the Holy Spirit speaking? I can only conclude that a counterfeit spirit was at work. Perhaps years of hearing spiritual language had allowed them to mimic words that seemed to be godly. I have known others who could “raise the roof” in church with spiritual language, but who could also burn your ears with gossip and inappropriate words. The lifestyle of such messengers disqualifies them. Any religious experience which focuses the attention upon the individual and tends to exalt man bears investigation. The true Holy Spirit seeks to draw attention to Jesus, and anything which does not glorify, testify of Christ, or point people to Christ is not in harmony with Scripture. Jesus said, “When the Helper comes, whom I shall send to you from the Father . . . He will testify of Me” (John 15:26 NKJV). While the Spirit uses humans as messengers, the messenger should never be the focus and we should be cautious when we see otherwise. Sometimes individuals will make themselves the center of attention. While such behavior might lead to notoriety and promotion, it should cause us concern. The Holy Spirit puts our hearts at ease, and we should only want to exalt Christ. John the Baptist stated, “He must increase, but I must decrease” (3:30). We begin to find true peace—peace with others, peace with ourselves, and peace with God. We start to accept His unique call in our lives and stop comparing ourselves to others and being envious of them. We realize God is turning our small acts of service into work that has eternal dimensions. We become grateful for what we have and where God has placed us. In Acts 10, Simon Peter’s message to the household of Cornelius was Jesus. While he preached, the Holy Spirit filled the group and they began to speak in tongues. Peter preached Jesus, and the Holy Spirit did the rest. There was no need to work up anything or manipulate the crowd. When spiritual activity is used to manipulate for personal gain or notoriety, it reeks of dishonesty and is contrary to Christ’s message in Matthew 20:26-28. Throughout 1 Corinthians 14, Paul makes the point that spiritual gifts are to edify the Church. If the experience does not in some way improve who and what I am, but instead causes fear, confusion, or anxiety, I should question its validity. The Holy Spirit is a Helper, a Comforter, an Encourager, and a Teacher. He is not a bully, a manipulator, or an abuser. An encounter with Him should make us better, and nicer, people. Because I cherish my Pentecostal heritage and want my children and grandchildren to enjoy the blessings of Spirit-filled living, I attempt to follow five guidelines regarding the operation of spiritual gifts: Can it be traced to Scripture? Can it be tested? Can the messenger be trusted? Does it testify of Jesus? Does it truly help?